Maintain Your Jaguar vehicle’s performance and protect your investment with recommended scheduled maintenance by Jaguar Dallas Service Center. 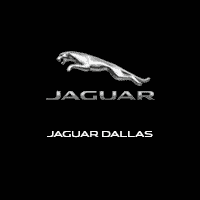 Both new or used Jaguar vehicles are treated with expert care at Jaguar Dallas. We combine Jaguar factory trained advisors and technicians, Genuine Jaguar parts and a service department dedicated to Jaguar Land Rover vehicles to ensure the highest level of expertise. No matter which model you drive, Jaguar XE, Jaguar XF, Jaguar F-TYPE, Jaguar XJ or Jaguar F-PACE, our goal is to keep you safe on the road. If a collision repair is needed, our onsite Snell Collision Center is a certified Jaguar Land Rover Aluminum repair facility. Snell Collision Center is authorized to perform comprehensive collision repairs on aluminum-bodied Jaguar vehicles restoring them to pre-collision condition according to Jaguar Land Rover Engineering standards. Our customers come from all over the DFW Metroplex, like Dallas, Park Cities, Irving, Plano, Lewisville and more.